Again, he debated over what to say. She was tough, but even the strongest crumbled and blamed themselves for events beyond their control. He knew that only too well. Cooper hadn’t said anything, but Christian didn’t doubt for one second that this last victim, like Heather Mackenzie, had worked for Maggie. Call it a flashback from his childhood, but whatever his reason, he wouldn’t be the one to tell her. “I have to go.” She stared back at him, not so much angry as hurt. Setting his jaw, he stepped around Maggie and headed back to the pool house. “Wait,” she called after him. Hot on his heels, inside, she slammed the door, shaking it on its hinges. “I need to get dressed.” He kept his back to her, not trusting himself to stay on track. “What did Horace want?” she demanded. “He wouldn’t have called you for nothing,” her voice growing louder, more determined. He suspected mama bear would rear her head and growl, and this time he wasn’t sure how he’d respond. “Look.” He turned, taken aback by the blend of emotions on her face. Stubborn determination, rage, and alarm all played across her soft features. He’d seen the look before, in his mother’s eyes, right be- fore she’d made his father tell her how her baby girl had died. The Vegas sun had really baked his brain, because if Christian stayed any longer, those baby blues would have him confessing everything. This is my first experience with Morgan and her Rock Shop in Golden Springs, CO. Ms. Dilts has created an appealing town and inhabitant’s readers can easily envision, colorful but realistic and well rounded. While Del appealed immediately, it took me a while to warm to Morgan. Can’t put my finger on the exact reason but mid way she grew on me. I confess at this point my favorite characters are Del, Adelaide, and Houdini. I was aware that goats and ducks could be excellent guard “dogs” but who knew donkey’s fit the bill too? 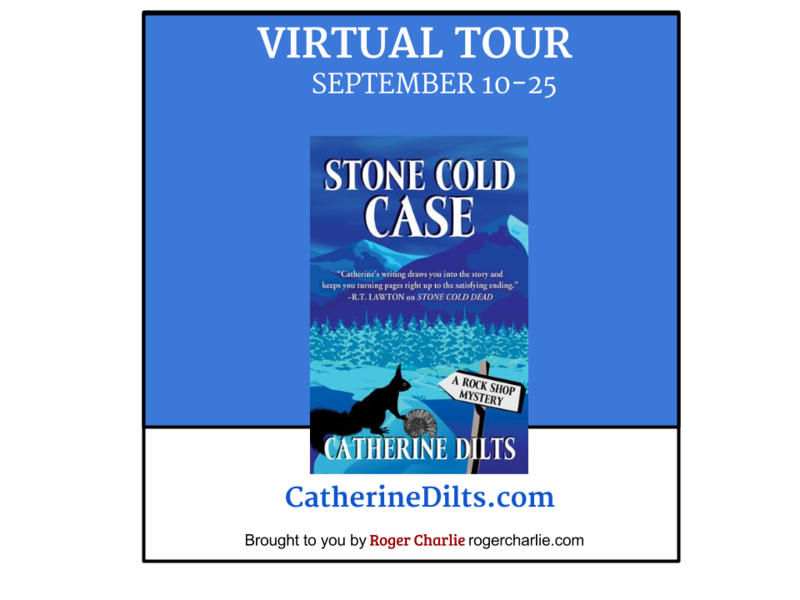 STONE COLD CASE has a fifteen year old cold case disappearance mystery that centers on the geology of the area. 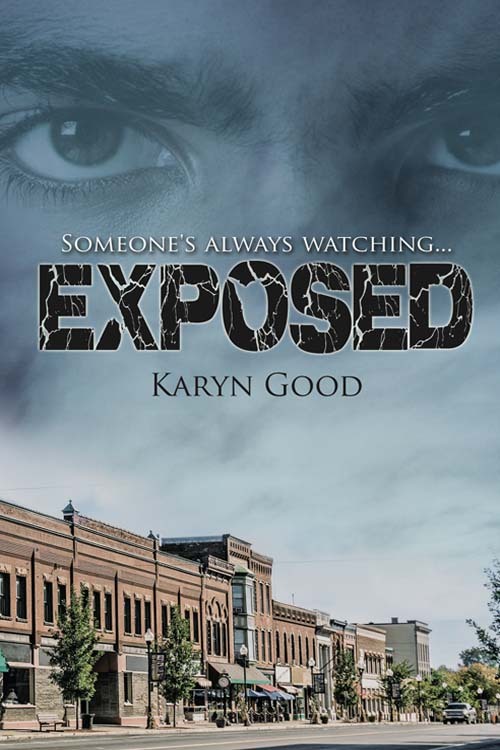 Cold cases give readers something different. They aren’t solved in the same way and give readers a change of pace while staying in the genre. In addition to giving readers thought processes a good work out, there’s an entry level course on mineral, gems, etc…The way the two combine is quite interesting. Ms. Dilts knows her rocks and the area. 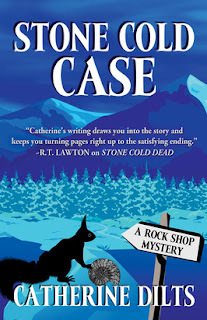 For readers who enjoy learning side knowledge as well as solving puzzles, STONE COLD CASE should be highly appealing. 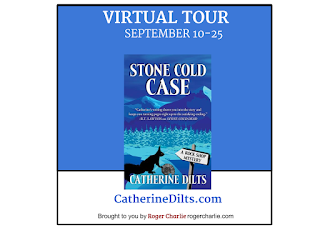 To Catherine Dilts, rock shops are like geodes – both contain amazing treasures hidden inside their plain-as-dirt exteriors. Catherine caught mountain fever after a childhood vacation in Rocky Mountain National Park. Determine d to give up her flat–lander ways, she moved from Oklahoma to Colorado. Her husband, a Colorado native, proposed to her as they hiked Barr Trail on Pikes Peak. 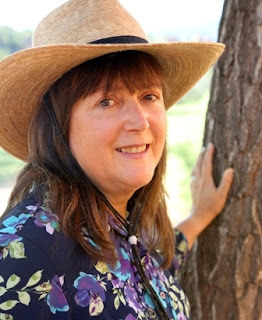 Catherine works as an environmental scientist, and plays at heirloom vegetable gardening, camping, and fishing. Her short stories appear in Alfred Hitchcock Mystery Magazine. In her spare time, she attempts to lure wild donkeys to her property in the mountains. For a city gal I sure love small town romances. Then again I did grow up on a farm. The closest town was small. Very, very small. When I hit my teenage years I knew it wasn’t the place for me. But just because I couldn’t wait to leave, doesn’t mean I don’t appreciate the appeal or have fond memories. 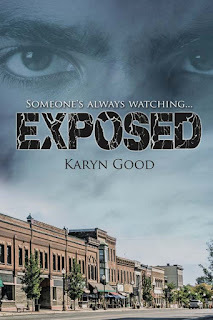 As a writer, it’s fun to play with the traditional values connected to small town settings. To delve into the darker aspects of rural living. It’s not all sunshine and rainbows. Problems exist in these seemingly idyllic small places. Bullying, prejudice, stalking, and the list goes on. Problems erupt from everyone thinking they know everyone’s story and the continued optimism one can keep something, anything, a secret. But there’s also a very real sense of place in small town romances. The town is a character all its own, supported by a cast of often quirky secondary characters. 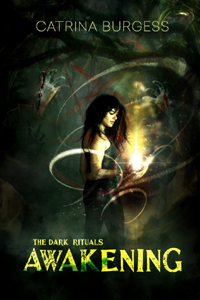 The connection the characters feel to each other and the setting draws readers in. There is the promise of a loyalty that seems unshakeable, the charm of living life at a slower pace. A place where technology takes a backseat. A place with traditions and values unique to a way of life that promotes a simpler, gentler way of doing things. But not always. My fictional town of Aspen Lake is set in the middle of Canada’s breadbasket. It is surrounded by farms and ranches and supported by the oil and gas industry. There are rivalries, bad blood, and trouble weaves it way into the lives of the characters that call Aspen Lake home. No place can claim perfection. My heroine, Kate Logan, is determined to redeem her reputation. My hero, Seth Stone, is searching for solitude. But wanting something doesn’t make it so. What are your thoughts on small town romances? The author actually interjects himself into the narrative at a couple of points to let readers know they have all the clues required to solve the mystery and encouraging them to do so before reading further. Reading the afterword is recommended. It explains that this is actually a sub-genre of Japanese mystery fiction meaning authentic, it relies on plotting and delivering the clues to the reader so they too can solve it, as well as other info of interest. with names, places, and cultural differences before getting lost in the mystery. The story no longer feels foreign. That wasn’t the case with THE TOKYO ZODIAC MURDERS. Even after getting wrapped up in the mystery I still felt like a visitor to Japan. I think that’s actually part of the appeal. It’s a mini murder mystery vacation. THE TOKYO ZODIAC MURDERS, once past the long winded letter, is interesting and different enough to appeal to those who enjoy a good mystery and relish solving it along with or even before the “detective”. Kiyoshi Mitarai appears in a series of books for those who’d like to read more of him and his “cases”. “A lot of women have long dark hair and brown eyes, Gina.” He picks up his plate and takes it to the sink. I do the same. “It’s more than that,” I say as he rinses his plate. He yanks on the handle of the faucet to shut the water off. “Believe me, Gina, you’re nothing alike.” I can’t tell if it’s a good thing, the way he says it. We work in silence. When the kitchen is clean, he wraps his arms around me. “Sorry. Leah’s hundreds of miles away, and she’s still screwing up my life. Believe me, you’re nothing alike. You’re so much prettier than she is.” He kisses me softly, and my body responds the same way it always does. It’s not unusual for men to be attracted to a certain type of woman, I think, as I kiss him back. 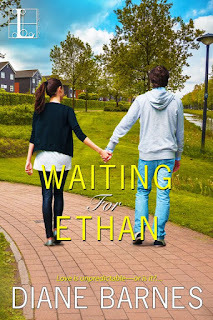 Ethan’s type is dark hair, brown eyes, and olive skin. No different from me liking men with blue eyes and dark hair. He’s backed me against the counter, and his kisses are rougher now. He whispers again as his fingers glide down my body unfastening buttons, “And so much sexier.” I feel the counter’s hard edge cutting into my back as Ethan’s body presses into mine. By the time he lifts me and carries me into his room, I’ve forgotten all about the picture of Leah. Jane Goodger's BEHIND A LADY'S SMILE w/ Seaglass necklace giveaway! American-set historical romance? Say it ain’t so! For years, editors have told me (not my current one, thank goodness) that historical romances set in America are the death knell for an author. Geez, I thought American history was pretty interesting! But listening to their advice (after all, they knew the industry better than I did) I began setting all of my books in England. I adore UK-set Regencies and Victorians just as much as the next person, so it really wasn’t all that big a sacrifice. But in my brain, there lived a story that was just dying to get out. Unfortunately, it was set in America and so I put in the backburner of my brain where it grew and nagged and finally fought its way to the front and I had to write it. I’m so glad I did! I adore Mitch and Genny—and for full disclosure, she is the granddaughter of a duke and does travel to London—but the majority of the story is set in the good ol’ USA. The second Lost Heiress book (How to Please a Lady) is also split between New York and England, and the third (I’m writing it now—Lady Lost) is set in the moors of England with a hero who hasn’t quite mastered the art of brooding and a heroine who has a penchant for lighting up a room. Thanks for reading! “I think she was,” Genny said a bit wistfully. He pushed the door open and Genny heaved herself off the wall to walk into the room. She fell onto her bed, face first. “Tired,” she said, the word muffled by the blankets. Mitch lit a gas lamp, then allowed himself to take her in, her mussed-up hair, her trim waist, her arms akimbo. He shook his head and smiled, then let out a sigh, sat down on the bed, lifted one of her feet and started unlacing her shoe. He tried not to think about her slim ankle or the silk stocking that was so smooth beneath his calloused hand, and so he worked quickly, tossing the shoes one by one onto the floor. When he had her shoes off, she turned around and settled properly onto the bed. He wasn’t about to undress her completely, so he stood up. Let her worry about her wrinkled dress in the morning. It would be a good lesson for her. Jesus. “Sure, kiddo.” He leaned over her, intending to kiss her forehead, but she lifted her head at the last moment and her lips pressed against his. He meant to pull back, and did a bit, but she followed him, pressing closer as he jammed one fist into the blanket beside her to stop himself from pulling her against him. It was obvious she didn’t know how to kiss, and that was one thing Mitch was thankful for. She kept her mouth closed, but her lips were so damned soft, all he could think about was nudging down her jaw gently and tasting her. But he didn’t. He grunted at her and left the room, closing the door softly behind him. She wouldn’t remember that kiss in the morning. At least he prayed she wouldn’t. God knew he’d remember, and that was enough for the two of them. So readers, how do you feel about historical romances set stateside? Yea, nay, or do you have exceptions? One (1) lucky commenter will win a green sea glass necklace with a braided silver chain made by Jane herself! Pretty special huh? Giveaway ends 9-15 with the winner announced shortly thereafter. Good luck y’all. The award-winning author of more than 16 historical romances, Jane Goodger lives in Rhode Island with her family, juggling three kids, a full-time job, a writing career, and a business. She’s gotten pretty good at juggling. In her free time (bwahaha) Jane likes to read, shop, a nd once in a great while cook a decent meal. If I were to diagnose myself based on the first story I ever wrote, I’d go with narcissistic idealist. But a lot changes in 34 years. It’s been a long and crazy journey to bring me where I am today—on the verge of publishing my second novel in less than 32 days. I could write for days on all that I have learned, and surprisingly, whom I have learned it from. And I wouldn’t take one word of it back—even the intransitive verbs. My day job is as a therapist. Don’t let that fool you; I’m as crazy as any other writer out there, especially these days (and sleepless nights). Long before I knew anything about diagnoses, I wrote a book about an aardvark. Its title—a real grabber—was Nire, the Purple Aardvark. Always one to see the world backwards, it doesn’t surprise me that I named my quirky protagonist after my own name, spelled in reverse. Six-year-old me was sure Nire would make it to the best seller list. However, I quickly learned that the literary world can be a cold place with little room for purple aardvarks. Earning only an “honorable mention” for that book in a Young Author’s contest—something given to every kid who participated—I knew Nire and I had a long way to go. I haven’t stopped writing since that first attempt at putting my words into print. My first job as a teenager was writing hometown “news,” aka lists of community events, for a free weekly newspaper. I was paid ten cents an inch and thrilled with my bi-monthly $13 loot. The byline was better than the money. Since, I’ve worked as journalist, marketing director, and therapist. I’ve written children’s books about rainbow cows and talking apples, as well as suicide prevention literature, journal articles, memoir, and poetry. When I think about all the topics I’ve touched on, I realize I might want to add schizophrenia to my self-diagnosis. For me, that’s what makes writing fun. Where else, but in art, can you wear such different hats so easily passed off with an “oh, she’s a writer?” Writing has made my world such a zanier place. For me, writing is a love affair. It has allowed me to fall in love with hundreds of characters. Add love addict to that diagnosis. I’ve come a long way from my days with Nire and apparently increased my pathologies, but some things haven’t changed. My favorite color is still purple. I continue to write for the love of the art. I’m still attracted to writing about quirky personalities. My mother, my first writing mentor and a retired English professor with a heavy red pen, is still my number one wordsmith coach. Other things have changed. My days of undergrad internships with manual paste up all-nighters are gone. The sweet smell of scented markers and newsprint on my hands has long ago been replaced by a stylus and antibacterial lotion. The Internet and digital photography have opened doors to creative folks who otherwise may not have had the opportunity to share their stories. Along the way, I’ve been fortunate to meet kindred spirits who have encouraged my love for storytelling and imagination. 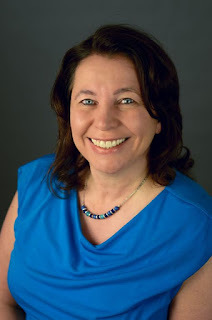 I was blessed with an editor, Colleen O’Brien, of Savant Books and Publications, LLC, whose even heavier red marker was filled with as much love as Mom’s. She helped me to bring my first novel, Crazy Like Me into the world on August 6, 2015. 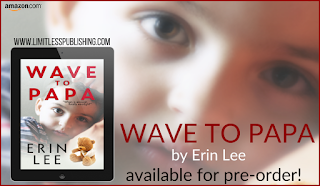 Later, I was even more blessed to discover that Limitless Publishing, LLC was offering me a contract for my second novel, Wave to Papa. Wave to Papa will be released by Limitless on September 8, 2015. As I hug my 41st birthday and send my oldest son to college, I’m grateful for this exhilarating time in my life. Katherine, the main character in Crazy, has taught me more than I could have asked for. She has taught me how to play and reminds me of Nire, someone I treasure to this day. A character that started as autobiographical, she had the guts to take on a life of her own, and in doing so, helped me—at midlife—reclaim mine. As a therapist who specializes in narrative therapy—the art of helping people define themselves, tell, and rewrite their own life stories—I feel privileged to tell Katherine’s. If therapy room flies could talk, they would tell you that life is not always easy. As humans, we struggle with the same issues—learning who we are, what we want out of life, who we want to be, and how to get there. We all run into obstacles. We fall, we get up, and the ride isn’t always smooth. If we’re lucky, we do it together—for good or bad. 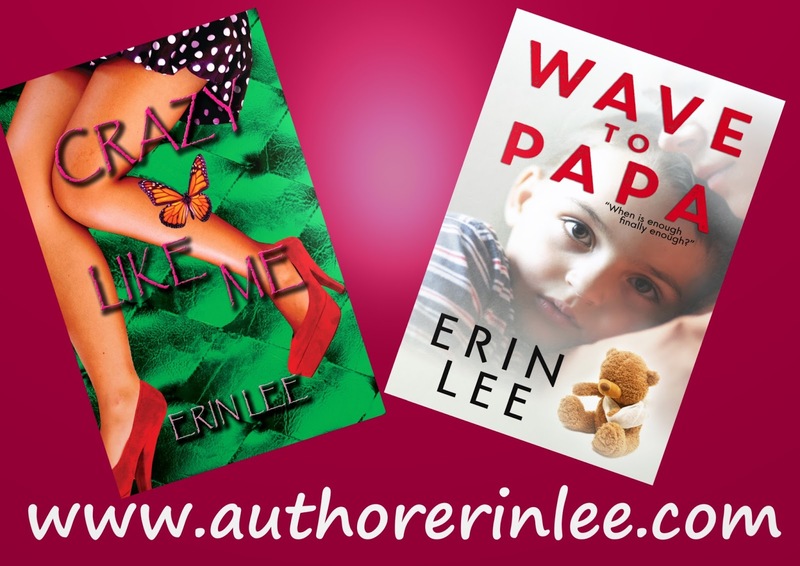 Crazy Like Me was born as a wink to our shared human experiences. I often wondered what it would be like to put that shy teenager in a room with the manic mother. I had a feeling they could help each other. When I finally did, I saw the magic of human connectedness. A work of fiction, Crazy Like Me is the story of Dr. Katherine Murphy, a psychologist who has the guts to take on that same challenge and allow her clients to learn from one another. Her recipe is simple: Take a few unhappy couples and a dash or two of lonely singles. Add broken hearts, anger, envy, betrayal, and hope. Stir continuously for 50-minutes. Simmer and repeat. Soon, lives collide in the craziest of ways. I did not know what would happen to the doctor and crew when I first put these characters in a group therapy room together. But, like a fly on the wall, I found myself learning more than I ever imagined from Katherine and her eccentric clients. I stopped looking at the clock and let them take me on their journey. They made me laugh. They made me cry. They warmed my heart. Best, they surprised me. Writing Wave was a whole different experience. A much more serious book, on a very serious and sad topic, Wave challenged my writing in a different way. Its main character is a woman who struggles with a choice many of my clients are faced with daily. And in the end, Dawn has also taught me something important. Her message is about courage and letting go— not unlike what I am now doing with these books as they release into the world. Would you go to therapy in any shape form or fashion? One (1) commenter will win a signed copy of CRAZY LIKE ME. Sorry, limited to U.S. only. Good luck y’all. But through the crazy cycle of hearings, counseling sessions, and visitations, Dawn begins to fear she’s been fooling herself. What if she’d been wrong and put Noah in danger? What if this was all her fault? During his mandatory anger management therapy, even Dan starts to wonder if he might not be the man he thought he was. Dawn has already lost one child—possibly for good—and can’t bear the thought of losing Noah, too. But with the pieces of her life shattered all around her, can she put it all back together? Or should she salvage what she can and build a different life, broken heart and all? Nire will always live in Katherine and Dawn’s hearts the same way she lives in mine. She is in there, in both Wave and Crazy, if you look close enough. But she’s changed. If I had to diagnose myself now, I’d go with word-aholic, type A—a condition I never desire to change. There is no cure, treatment, or expectation for my recovery. I’m a crazy writer, and I always will be. And that feels great! My hope is that you enjoy Katherine and Dawn’s stories as much as I do. Continue to read, continue to write. Never forget your inner Nire. Sometimes, the publishing world becomes crazy. But don’t let that stop you from achieving your dreams. Characters, your own or the ones you read, have so much to teach. Never stop reading, falling in love, and learning. 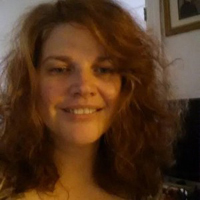 Erin Lee is a freelance writer and therapist living with her family in Southern New Hampshire. 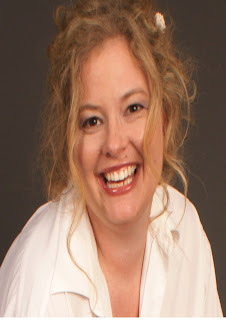 She is the author of Crazy Like Me, a novel published in 2015 by Savant Books and Publications, LLC (available at www.amazon.com and at www.barnesandnoble.com) and Wave to Papa by Limitless Publishing (available for pre order on amazon). She has also published numerous magazine articles, particularly on the topic of mental illness. 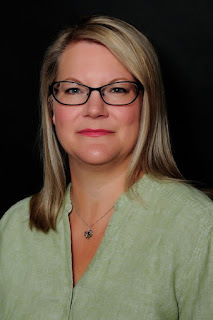 She holds a master’s degree in psychology and works with at-risk families and as a court appointed special children’s advocate. When she’s not busy learning and writing about the human mind, she’s obsessively taking pictures of her rescue dog and muse, Milo. Her work can be found at www.authorerinlee.com or www.facebook.com/gonecrazytalksoon. Her twitter handle is CrazyLikeMe2015.